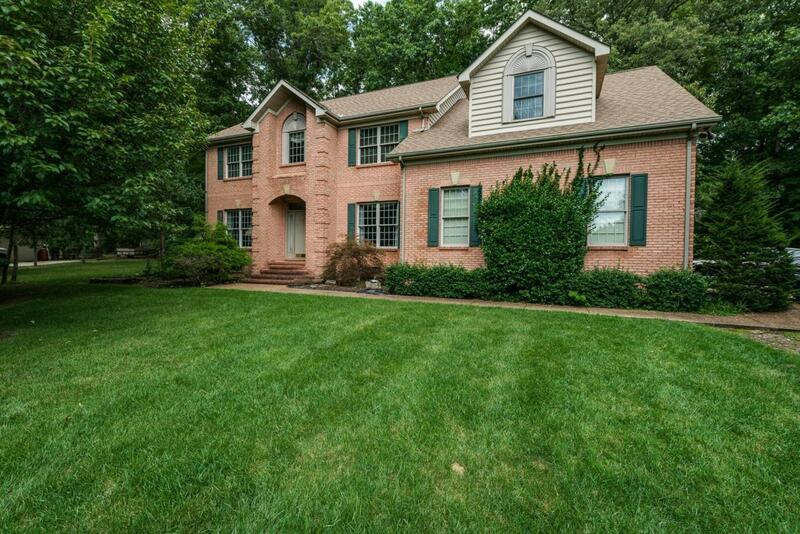 Magnificent 2 story home w/amazing features. 4 or 5 bedrooms (l bdrm currently serves as office), 4 full baths, 18+ ceilings in columned entry foyer...formal living, formal dining, beautiful kitchen w/all appliances...tray ceilings in every bdrm & formal dining of various design, recessed lighting throughout, 2 full suites upstairs,(master bath has 4 x 6 jetted tub & step in shower, wet bar in bdrm)...unbelievable closet space...sleeping room w/full bath on main floor..Move in Ready!! Bedroom Three Room Remarks Ensuite W/6 Closets Spacious!! Listing provided courtesy of Third Tennessee Realty And Associates Llc.